On Thursday, OnLive launched CloudLift Enterprise, the company's second attempt to adapt its cloud gaming services to the business space. Until now, OnLive has been the flag-bearer for cloud gaming, which uses low-latency connections between a thin client app on a PC or mobile device and a back-end server. Its CloudLift technology takes games that users have bought on Valve Software's Steam service, or via OnLive, and accelerates them using its own high-end gaming machines. Now, the company has adapted that technology for business use. 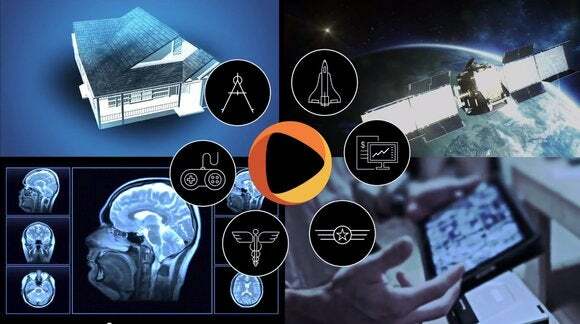 Working from the argument that PC games are about the most graphics-intensive application a user can buy, OnLive's CloudLift Enterprise service takes the same approach to "graphics-intensive applications" like CAD programs, medical imaging software, and more. “Enterprises have told us that it is frustrating to build and deliver high-end applications for thin clients and remote devices given their hardware constraints," Mark Jung, executive chairman of OnLive, in a statement. "They want to provide spectacular real-time graphics, and responsive, fluid experiences regardless of the devices their audience chooses to use." The OnLive CloudLift Enterprise service can run on an on-premise service or as a hosted and managed program within OnLive's data centers. Pricing was not disclosed. OnLive has already proven out its streaming technology over Wi-Fi and 3G, and onto Android and iOS mobile apps. The enterprise solution can tap into all of these capabilities. OnLive, which re-emerged from a disastrous bankruptcy agreement in 2012, has tried to offer a business solution before with OnLive Desktop, which offered a virtualized Windows 7 desktop and Microsoft Office access. OnLive Desktop is still around and kicking, although executives have said previously that they plan to rework the experience. OnLive's debut of OnLive Desktop prompted a sarcastic welcome from Citrix two years ago, as that company and others have offered virtualized thin clients for years. More recently, Nvidia and VMware began offering a remote virtual desktop for business use. OnLive clearly hopes to break into a market it has already invested in heavily, but never really addressed.